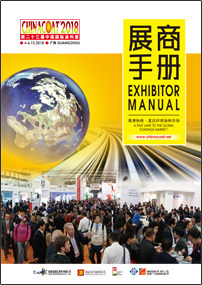 To assist Exhibitors to prepare for the show and plan their pre-show promotion strategy, the Organizer will produce this year's 'Exhibitor Manual’. 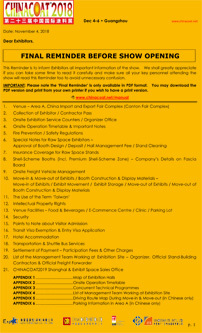 We strongly recommend Exhibitors to read the Manual thoroughly to learn about all essential information of the Exhibition. We shall appreciate if Exhibitors can fill out all necessary Forms and return them to us or to our service providers on or before the stated deadlines to prevent any possible delays. The ‘Final Reminder’ will be uploaded to the online ‘Exhibitor Manual’ system 3-4 weeks before show opening to inform Exhibitors of all important information of the exhibition. We shall greatly appreciate if you can take some time to read it carefully and make sure all your key personnel attending the exhibition read it too to get themselves familiarized with important notes and procedures.